CHALLENGING MISCONCEPTIONS SINCE 2015 Everyone should be able to access good design. At Making Spaces, we are not interested in turning your house into a show home. We design and deliver real spaces for real life. You don't need to spend thousands to make a room look and feel good. Simple changes can transform a room and good design can make your home or work space more functional and nicer to be in. Fresh Start Living are here to help you make the most of your home. Many people find the thought of renovating their home so daunting they avoid doing it altogether. However, we believe that with the right knowledge, understanding and planning anybody has the ability to make their home work better for them. We work directly with you to plan your home renovation and design your interiors. Ultimately we want to inspire, reassure and enable you to start your own home renovation project, however large or small. I'm an established Interior Designer based in North Yorkshire, specialising in show homes and new residential properties. I’ve been working with both large scale commercial projects and individual clients for over 10 years. I believe that everyone can and should love their home. I offer simple, honest interior design advice that makes a big difference. So whether I’m re-inventing a living space or creating conceptual show flats, I can show you how to enjoy your home. Once you fill it with your personality, your quirks and your tastes you’ll love it all the more. I like to work organically and I really believe in bringing joy to homes by making beautiful design accessible and affordable. Whatever look you are trying to create in your home, whether its timeless elegance, contemporary minimalism or rustic farmhouse chic, our team of interior designers are here to help. We offer a full interior design service from initial consultation to completion, as well as a range of luxurious products and accessories so that you can transform your home with ease. 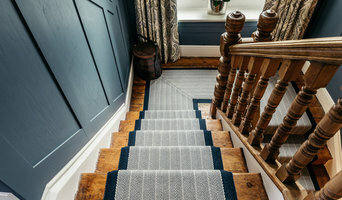 From designer fabrics and opulent wall coverings from leading brands such as Romo, Osborne & Little, Colefax & Fowler to bespoke furniture, high quality flooring and individually designed soft furnishings, our interior designers can source all you need for a truly stunning design scheme. For more information about our range of luxury designer fabrics and wall coverings, bespoke furniture, flooring, lighting or home soft furnishings why not call and speak to one of our highly experienced interior designers. As a leading luxury interior design company based in Huddersfield, West Yorkshire, UK, we're sure you won’t be disappointed. As an Interior Designer, based in Sheffield, my passion is creating beautiful, quality, and individual interiors with functionality at the forefront of my designs. My services allow you to save time and stress on your project, and also help you to avoid costly mistakes. I believe that every detail of design is important, and it is the attention given to the small details that can make the difference between good design and outstanding design. I understand that taking the plunge to renovate your home can be daunting & I appreciate the importance of staying on time and in budget. My experience working with a variety of budgets, and having good communication with my clients ensures your project will run smooth project from the start. Wolfe Interiors can tailor our services around you and your project. Whether you are looking for individual room renovations, or a full home revamp, I can offer everything from mood boards, CAD floor plans and detailed presentations, right through to sourcing furniture, lighting and accessories. I can take care of project managing the full renovation, with clear costings and trusted tradesmen, right down to final touches, like bespoke furniture design & paint and accessories. Your ideas and taste are vital input to ensure the designs exceed your expectations. Every project is different, but always begin with a thorough home consultation. From here we can establish how your individual project will be priced and structured. Individual designs will be presented to you, including physical samples of any flooring/wallpaper/paint/fabrics etc, so you can have a clear visual of the finished look. If required, we are then able to use our tried and tested tradesmen to get the best on price on any works to be carried out, saving wasted time and also giving the reassurance that work will be carried out to a high standard. Detailed costings are worked out at all stages, giving you peace of mind. We will then work closely with you, the tradesmen and suppliers to ensure the smooth running of your project from start to finish. Please get in touch to get the ball rolling with a free, initial, home consultation. Established in 2002 Blind-Colour specialises in hi end residential properties. Over the years we have taken on most aspects of the home and featured heavily in interior design magazines. Lighting has become a key part of our design process to the point that it has become a consultation service for Architects and clients alike. Specialising in 3D modelling and photo real rendering we like to think we offer a no nonsense design scheme that once agreed is the available to source and price. This takes out the if's and but's as the image you receive is the a clear goal for all involved. Yorkshire's Premier Interior Architecture and Design Group, together with our luxury lifestyle store for all your Interior Design needs, with projects spanning Yorkshire, the UK and Worldwide. Little Mill House is an interior design studio, blog and webstore with a focus on affordable, sustainable interiors filled with personality. We work across the U.K and Southern Spain on both residential and commercial spaces. Experienced Interior Designer Bess Sturman will put your personality and style at the very centre of your home or business premises. Best-known for the multi-award-winning interior design of Europe's smallest 4K cinema, Ilkley Cinema, Bess has also featured on BBC One and has completed hundreds of room designs for clients across Yorkshire since 2011. Her team at Sturman & Co. offer a seamless professional installation service, or design advice only, to suit you. With over 20 years design experience working on a diverse range of projects from private bespoke residences in the UK and overseas, to multi-million pound care home developments. Many of these projects are award-winning for their innovative design. 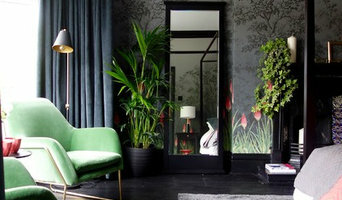 Passionate about design, interiors and garden design. Founded by fashion and furniture duo Sally and Steve, Crumple & Co is a unique concept in bedroom and home interiors. This small family-run business has quickly established a name in the world of luxury and quality beds, bedrooms and lifestyle products - without silly price tags! Explore on-line and in-store, where everything has been skilfully curated to easily interlock (try our on-line ‘lookBook’). Discover the comfiest mattress, beautiful soft furnishings & stylish accessories, designed by and manufactured for Crumple & Co. Bedrooms & Interior Design Made Easy! These two closely related professions are often mistaken for the same thing, however there are some significant differences to be aware of before deciding which to hire. An interior designer, sometimes known as an interiors architect, can run full renovation and structural design projects, and will use specialised knowledge of interior architecture, construction systems and components, building regulations, materials and furnishings to arrive at your dream home design. Interior design companies are able to plan spaces and room functions down to the last detail, and can help design and renovate interiors, from initial planning phases to placing the last decorative accessory. A decorator on the other hand will typically be involved only in the aesthetic layer, the “look and feel” of a space, and won’t be able to assist in renovations that require structural work. Interior decorators normally come on board after all structural work is complete. 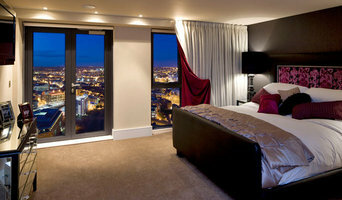 So choose your Leeds, West Yorkshire interior designer according to the type of work you need. Why should I hire an interior designer in Leeds, West Yorkshire? They say life is what happens while you’re busy making plans. Some of us are just too preoccupied with a career and/or family to think about colour schemes, wallpaper, flooring and lighting. A professional interior designer in Leeds, West Yorkshire can save you bags of time, stress and months, if not years, of living in a half-finished home. It’s their job to stay on top of the latest trends and to have contacts and visual references coming out of their ears. Interior designers and decorators can also save you money, sourcing products via trade contacts or offering affordable alternatives to blowout iconic designs. 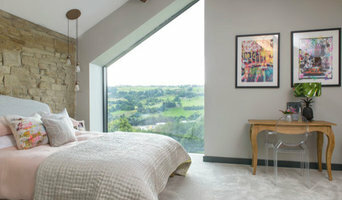 How do I choose the right Leeds, West Yorkshire interior designer for my home? Good design and visual inspiration are all around us. Start by searching for interior architects and interior designers in Leeds, West Yorkshire on Houzz. Keep a lookout for images of rooms and features that you really like and save them to your Ideabooks to begin to develop an understanding of your own style and taste. If you notice that photos from the same interior design companies are popping up regularly then that is a good hint that they could be your perfect design match. You can feel most confident if you hire an interior designer or interior design company in Leeds, West Yorkshire that has completed work similar to the look and feel that you desire, whether that is a mix-and-match lounge oozing mid-century modern style, a pale and interesting minimalist bedroom with shots of colour, or a beautiful space inspired by Scandinavian design. How much does an interior designer in Leeds, West Yorkshire cost? What are some of the important questions to ask Leeds, West Yorkshire interior designers or interior decorators? Start searching for an interior design Leeds, West Yorkshire professional in your area who can bring life to your interiors and reinvent your home for you. Look through reviews, projects and ratings to decide on the best interior designer in Leeds, West Yorkshire for your taste and style.